This image began with a photo that I took yesterday during our walk at the Cummings Center Pond here in Beverly, MA. Due to cold weather followed by a rapid warmup to around 60 degrees, the pond was a patchwork of ice and water. 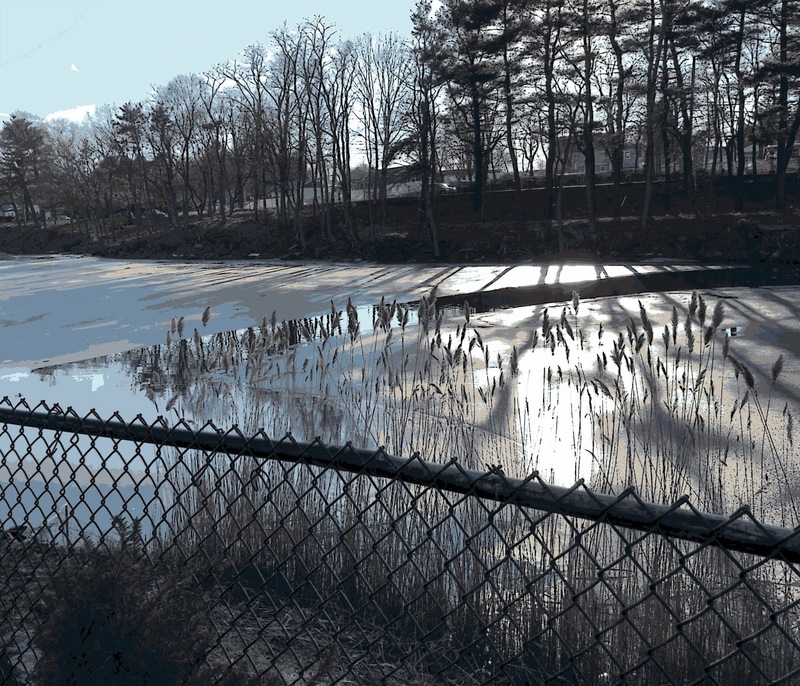 I liked the contrast of the fence, the tall grasses, and the ice, so I took a picture. Today I edited the original and then used Painter to add the digital woodcut effect.